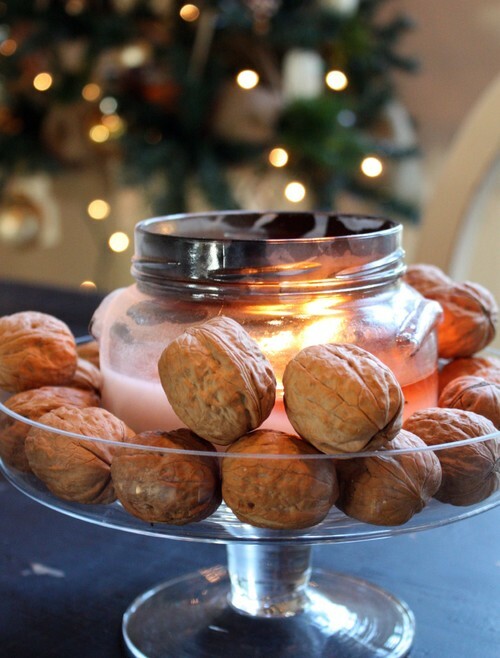 together a eye-catching and easy to make center piece that will turn your table from every day to divine. 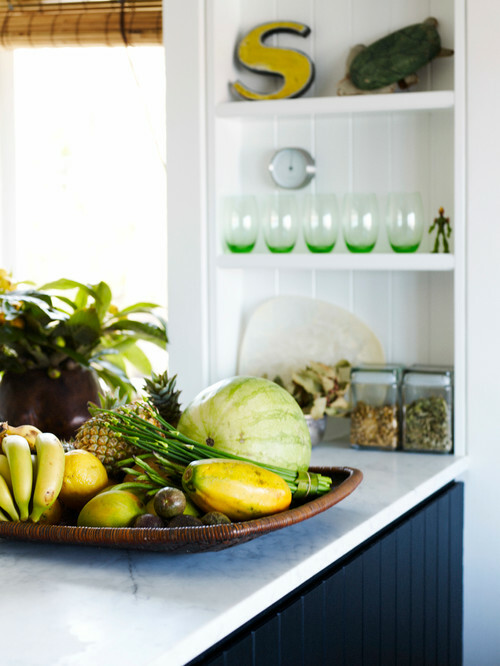 Take your fruits out of the fridge and show them off. 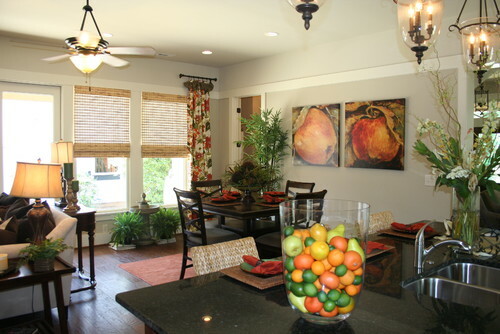 Apples, lemons and oranges are particularly suitable for this; get creative and use anything colorful. 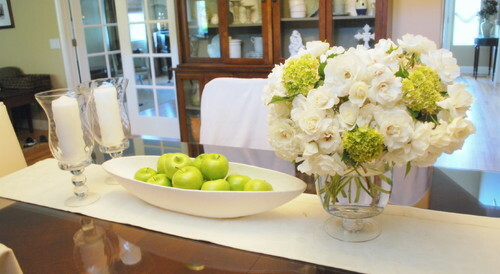 A large floral bouquet and candles flanking the fruit bowl adds more character to the set up. Next time you come home from the market, take a peek inside that produce bag before stowing it all in the fridge. Some fruits and vegetables are strikingly beautiful on display alongside cut flowers. 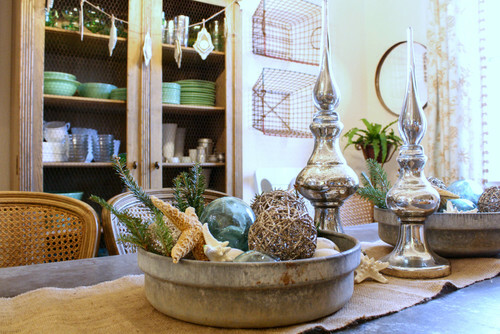 If you are fan of rusty metal use an old bowl and decorate it with with greenery, decorative sphere, any sea artifacts that you might have and are lying unused in your storage. 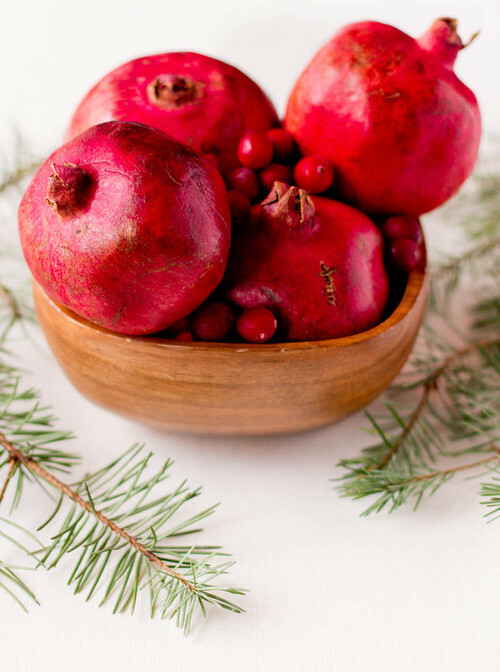 If you have a smaller dining table, arrange fruits of the season in a beautiful wooden bowl with dried fruits to create a seasonal display. 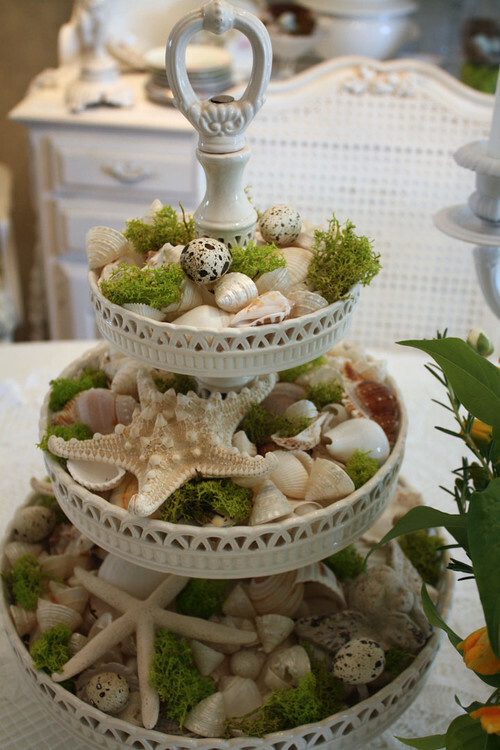 Use a classy dessert stand and fill the tiers with white pebbles, sea shells and greens for a compelling composition. 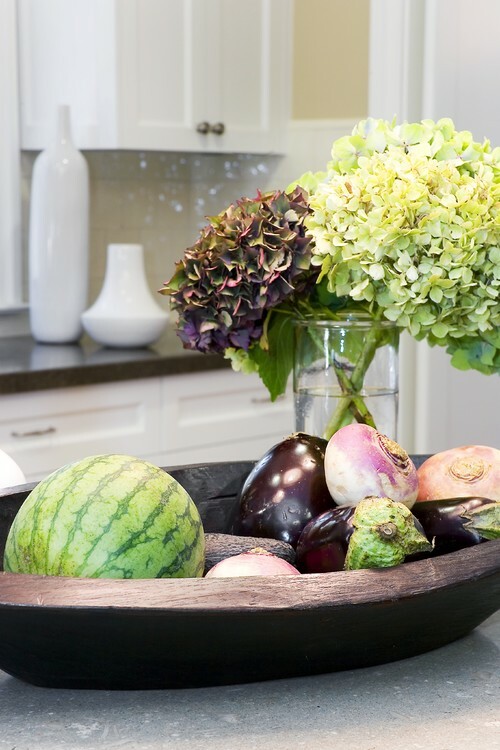 Use a rot iron mantle as a center piece and create some drama by pairing it with colorful fruits and vegetables for contrast. Think installation art by pairing fruits that come from the same colour family and create a head-turning, larger-than-life fruit bowl, filled to the brim with fresh fruit. If you prefer not to spend loads of time arranging fussy flowers at the table, consider a set-it-and-forget-it arrangement like this succulent planter. 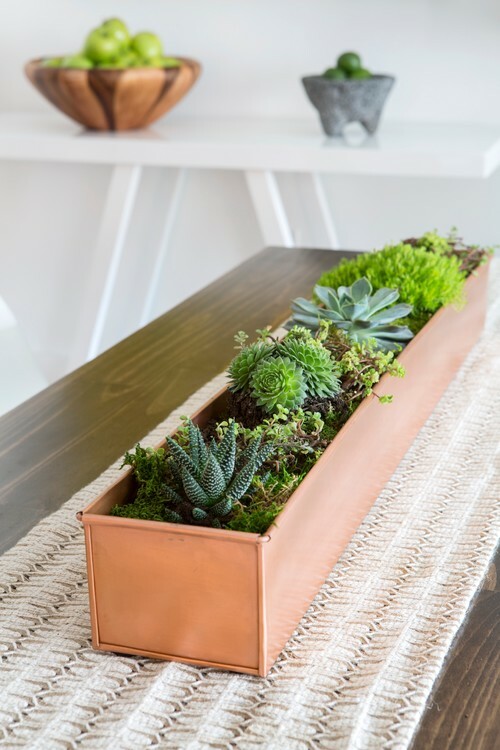 A long, narrow planter in a beautiful material like copper works well. 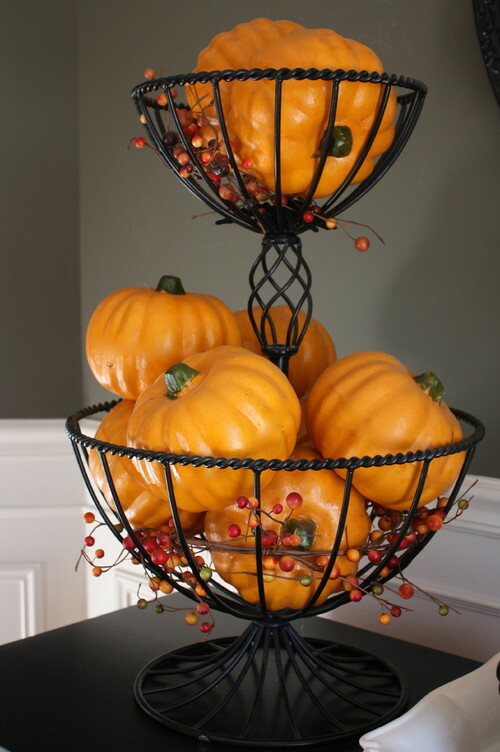 So go ahead and have fun creating your centre piece and do not forget to add your personal touch.